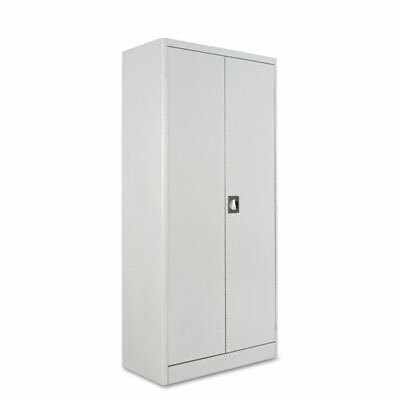 Heavy-duty construction offers secure storage. Three-point locking system with recessed handle provides security of contents. Pan-type reinforcement maintains positive alignment. Doors open 180° for easy access to belongings. Shelves adjustable on 2" centers. Heavy-duty construction offers secure storage. Three-point locking system with recessed handle provides security of contents. Pan-type reinforcement maintains positive alignment. Doors open 180° for easy access to belongings. Shelves adjustable on 2" centers.